Usually when I do my grocery shopping I do it with some specific meals in mind. This means I have all the ingredients picked out and there’s very little room for improvisation. But then other nights (towards the end of the week) I end up with some random ingredients and have the challenge of bringing them together into a delicious meal. These nights are usually the fun nights. We’ve already talked about one option– vegetable fried rice. 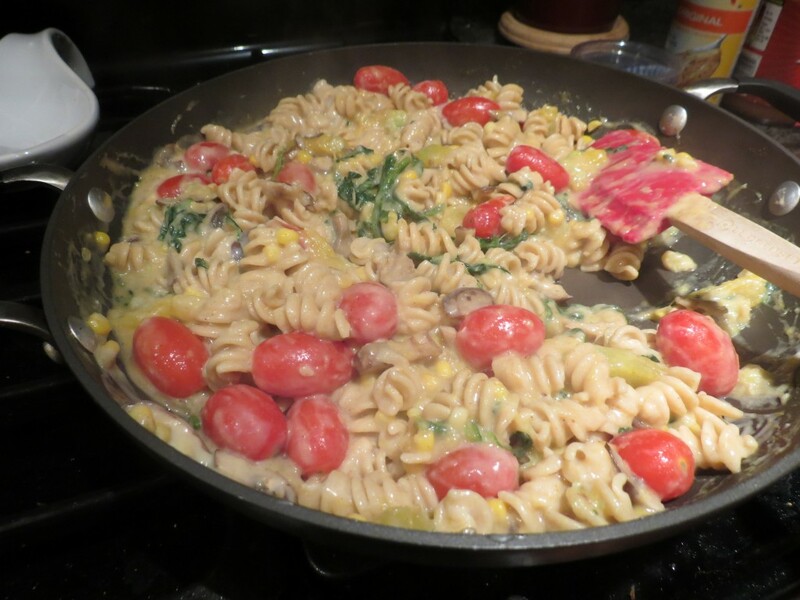 This recipe is actually from about 6 weeks ago, but in looking back through the archive of photos (whenever I cook I take them… it’s actually taking the time to post that throws me off) this recipe for creamy veggie pasta has some fun tips in it that are worth sharing. Since some produce is out of season we can also talk about substitutions. The star tip in this dish is how to make a healthier version of creamy sauce. If I’m feeling like I need a bit of indulgence this is my go to base sauce. It’s super easy and fun to modify as well! 1 cup cherry tomatoes (any small tomato is fine, don’t chop up a large one though). 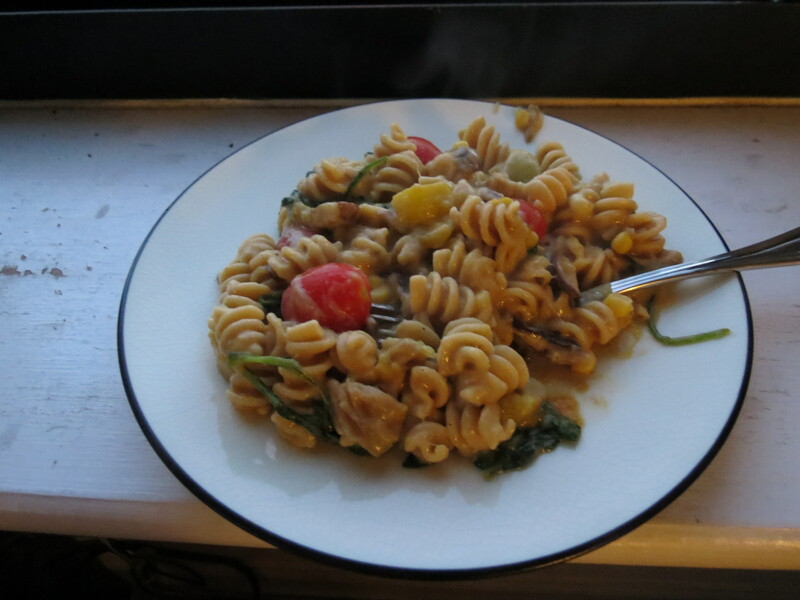 Slightly more than 1 cup pasta (I used whole wheat rotini, which is what I had on hand, but you can use any pasta that is good for holding sauces). Cook pasta according to package directions and to your desired consistency. 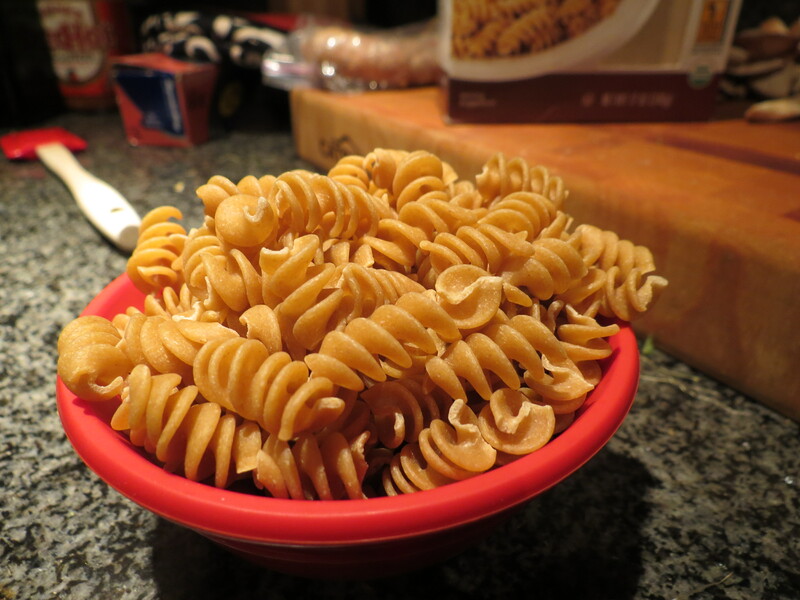 My trick for whole wheat pasta is to cook it a few minutes longer than recommended to get rid of that extra bite that it has. 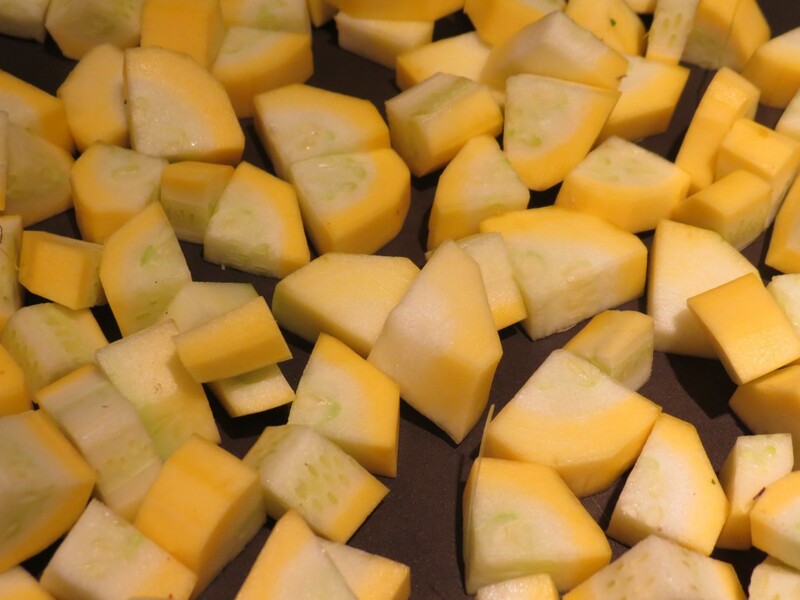 At the same time you put on the pot of water, cut up the squash into small cubes. 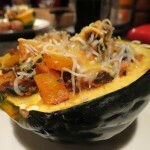 (If you are using a winter squash, peel it first) and add to a dry pan. Add about 2 Tbsp water to the pan so the squash doesn’t stick. Cover and cook until the squash are mostly soft (this will take longer for winter squash, and you may need more water). I like to use water whenever I can to save on how much oil or butter goes into a dish. The trick here is to have enough to help cook the squash, but not too much that the dish gets watery. Next, slice the mushrooms to the size that you like and add them to the pan with about 1/2 tsp of garlic salt. The salt will help draw water out of the mushrooms and continue to help the ingredients not stick to the pan. After a few minutes, the mushrooms should be browned. Add in the spinach and cook until wilted. Add in the corn and cherry tomatoes and cook until just heated through. You can see that by this point, the squash has almost melted and started to create it’s own creamy sauce. 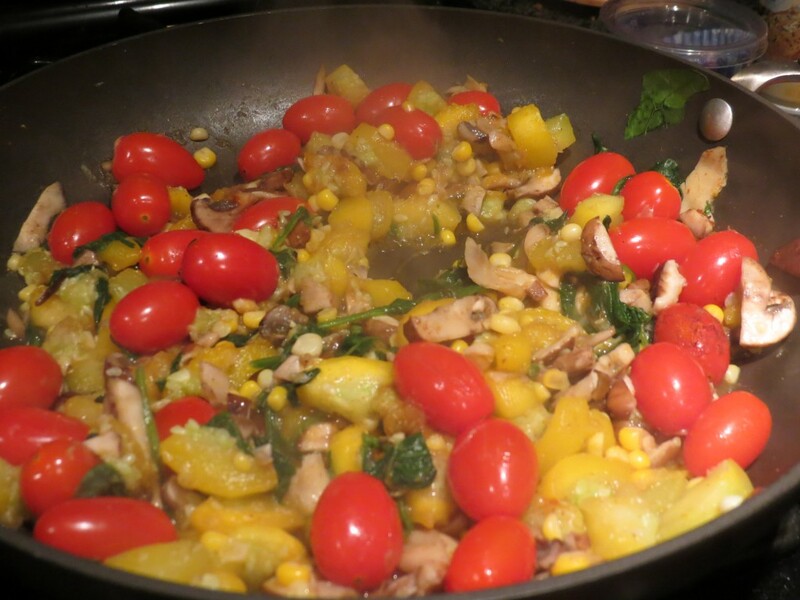 Once the vegetables are ready, remove from pan and set aside. Here is the part where you make the fanciest quick sauce you’ve ever made. Chances are you will say to yourself “how did I never make this before! I’m going to use it all the time!” It’s seriously that easy and that impressive. 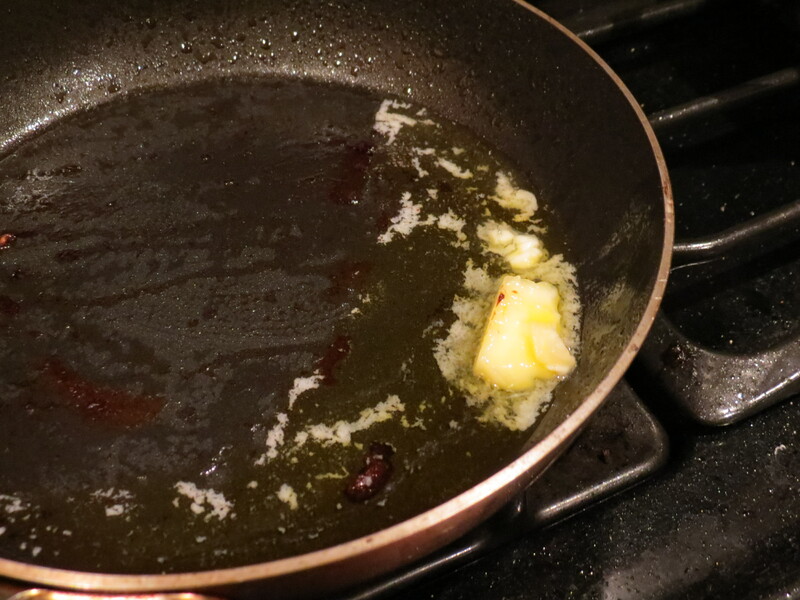 Add 1 Tbsp butter to the pan where you had the vegetables (no need to rinse it) and set it over medium heat. 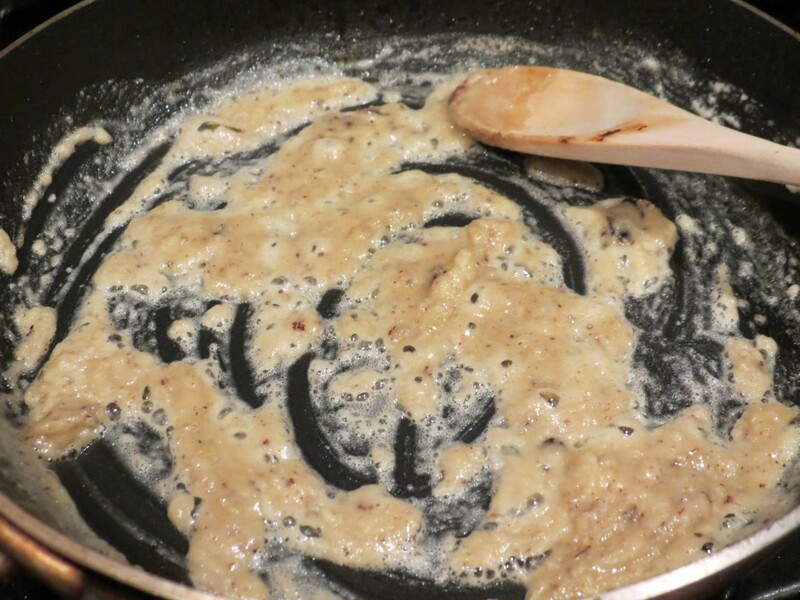 Once the butter has melted add 1 Tbsp flour and stir with a wooden spoon. The mixture will be bubbly and light brown. Once you’ve gotten the clumps out and the butter and flour have come together, add 1 cup skim milk and stir with spoon or whisk to make the mixture as smooth as possible. You can use a different type of milk if you don’t like skim. The heavier your milk, the quicker the next step will take. If you are using skim milk just be patient. I promise this will come together! 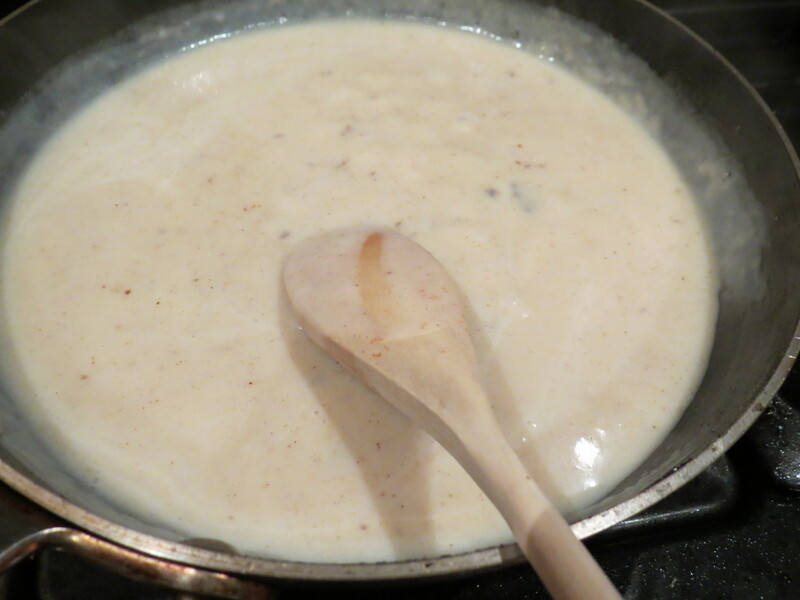 Stir constantly (you can take a few breaks now and then) until sauce has thickened. You can tell it’s the right consistency when you can draw a line on the back of your spoon and it will hold (the bits you see in the photo are the remnants of the vegetables from earlier, whose flavor is now in the sauce!) 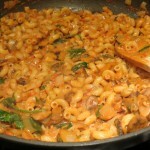 At this point you can add Parmesan cheese or even a few dashes of hot pepper or hot sauce to taste. That’s it!! Then just throw the rest of your ingredients back in and toss to coat. 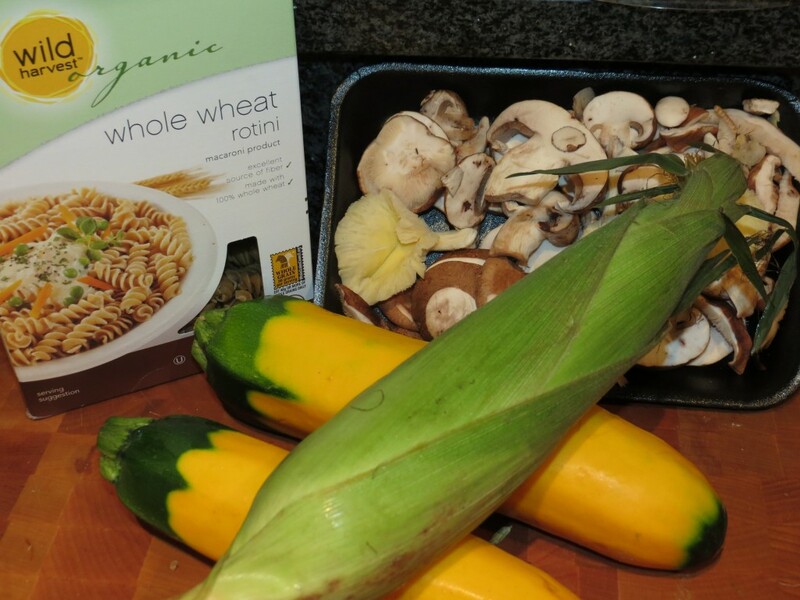 What you end up with is this beautiful pasta that has freshness from the corn and tomatoes and richness from the squash and mushrooms. 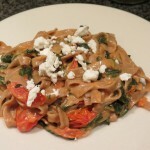 When eating this dish, my husband (who is not a foodie but may be becoming one) said “the burst of the cherry tomatoes adds a pop of brightness to the dish.” This dish is light enough for a late summer dinner and warm enough for a fall night. What did you think of that creamy sauce? Super easy right? You can use that base of 1 part butter, 1 part flour, and milk as a base for mac and cheese as well. Once the sauce has thickened you can throw in some shredded cheese and mix. The cheese will melt really quickly and then toss that with the pasta!